Historical documents records first tobacco growing in the 16th century in monastery in Campese in Bassano del Grappa. 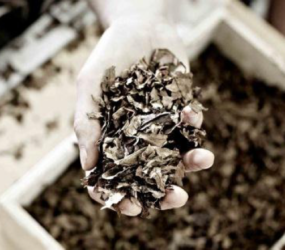 In the latest 16th century first cigars are produced Between the 17th and 20th century the production of Tobacco Nostrano cigars is so important that it represents the main source and sometimes, the only one of maintenance of the Canal di Brenta community. Only in 1763, after quite two centuries of struggles, the Republic of Venice gives to the farmers the privilege to cultivate tobacco, but the Nostrano cigar is already known and appreciated by venetian nobleman. In the following centuries cultivation is forbidden at first by Venice, than, by Vienna and at last by the italian reign for “fiscal” reasons: the Sigaro Nostrano didn’t exist officially but everyone smoked it in Veneto, thanks to a net of smugglers going from Bassano to the farthest corners in the country. At the beginning of the 20th century Consorzio Tabacchicoltori Montegrappa decided to protect tobacco growing, reviving knowledge and traditions, and renewing tobacco Nostrano del Brenta. 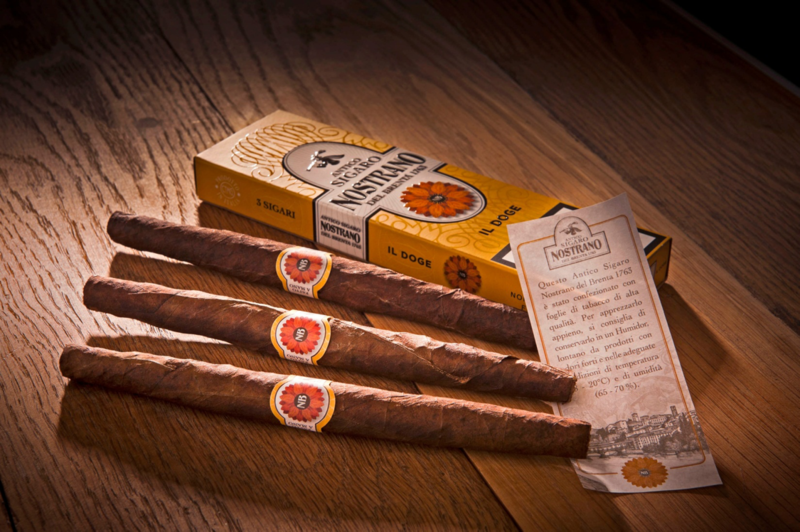 All the farms that cultivating and giving the tobacco used for the production of Antico Nostrano del Brenta 1763 are situated in Veneto, in the districts of Padova, Treviso, Venezia, Verona and Vicenza: this is the country where during the centuries the original habanos plant- renamed Nostrano del Brenta, exalting all its qualities. the ground of every district gives particular characteristics and quality to the plant and to the leaves. Work is Scanned by the seasons alternation and it is made essentially by hand even today. In February the preparation of the ground starts and, in April is digging time in order to destroy weed and to improve ground. Meanwhile seeding has started in special greenhouses by the hydroponic system, the little plants grows in floating greenhouses giving to the cultivation the best growing conditions, thanks to solutions of water and nourishing salts. When the plants are 15-20 cm tall, are transplanted into fields; than in the middle of the growth, there is the cutting of the upper bud (than the plants are pruned), in order to concentrate the energy in the developing leaves. At the end of the growth, leaves are picked up, even this activity is by hand, “leaf by leaf”. Generally crop is between August and September and start the beginning of the tobacco grading and care. This is an important step because it can influence the tobacco quality and therefore the yield of all the entire crop. Air cured is optioned hanging every single leaf on ” filze:” narrow strips three or four meters long in a dedicated big shed. So that leaves can naturally be dried at the air. During this time the farmers open and close the main doors in order to regulate the room to the outside climate. 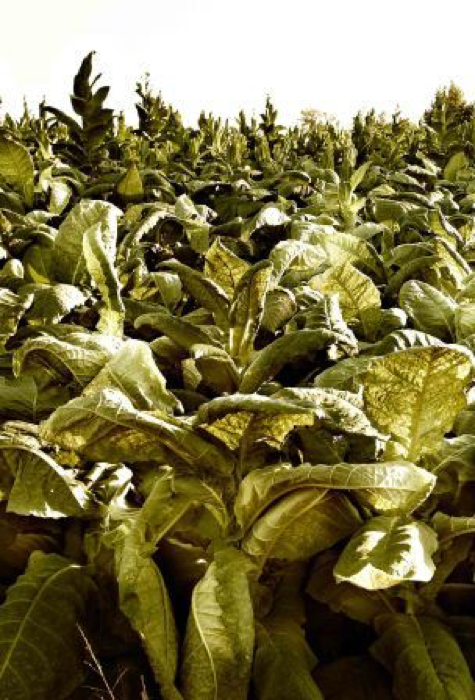 2 – 3 months after harvesting, tobacco has completed the first stage of processing, called “ammaronamento” . Thanks to the arrival of the rainy season, it has reached the right degree of humidity and its preparation can start. 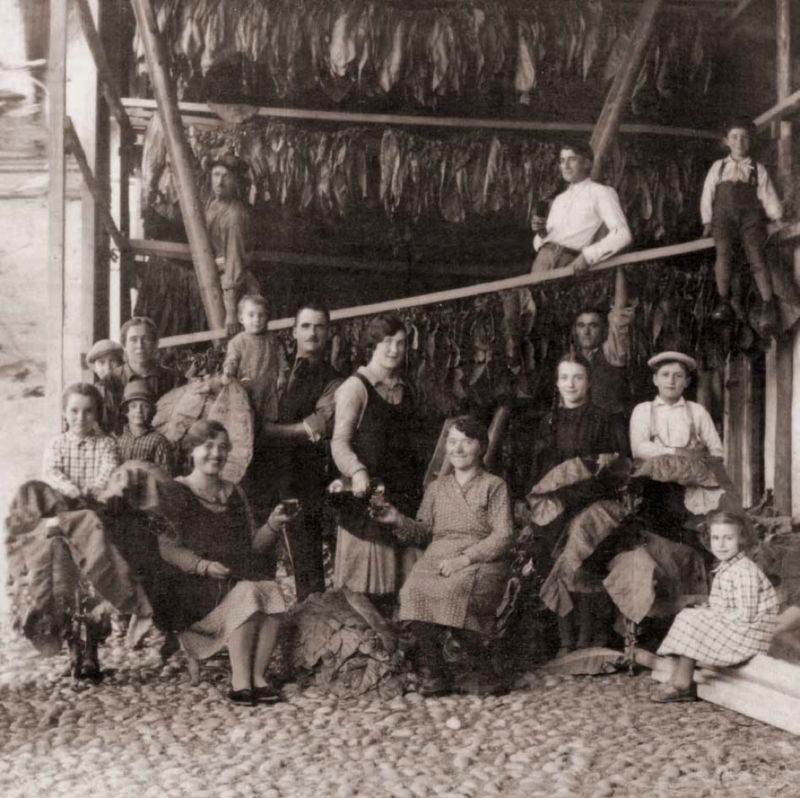 In this phase, farmers pile up the strips ashore, then they cover them with sheets so that tobacco is protected and can finish the cure ” in bulk”. Later, farmers unstring leaves getting rid of those unfit (too green, too yellow, moldy…). Finally tobacco is canned in boxes supplied by the Consortium. Now farmers provide to choose leaves that will be used for the wrapper and the binder. In May, the tobacco chosen in this way is delivered to the Consortium which provides to all the following and different processing. The first one is the fermentation, that has many passages, depending on its use. Originally, fermentation was done piling up tobacco leaves and later covering them with sheets. Leaves nearness, their humidity together with the temperature of the rooms, generated the heat required to the fermentation process. It’s cause to the particular shape of a rose-window, that leaves piled up for fermentation looks like, that today this is the symbol and logo of Consorzio Tabacchicoltori del Brenta. Of course, new technologies has been invented and this traditional technique has been replaced by the use of special cells. Anyway these cells keep the natural characteristics of this particular and fundamental processing. 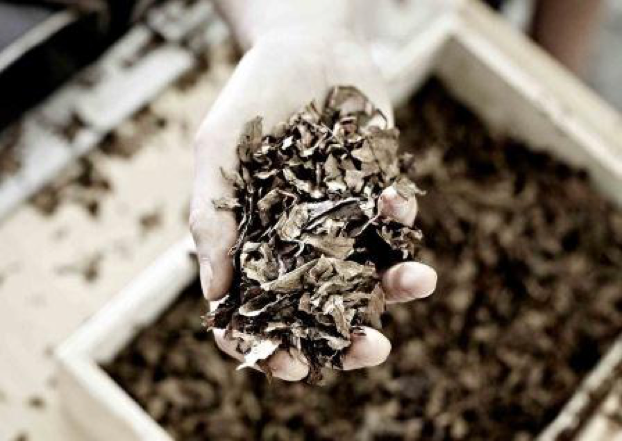 Once fermentation ends, leaves are chosen again by the agents of the Consortium and they are divided by type (wrapper, binder and filler), degree, color and other quality parameters identifying their different use. Finally tobacco is preserved in special rooms where it will rest for years before using it in cigars manufacturing. The Antico sigaro toscano del Brenta 1763 is completely handmade by the cigar-makers of Campese manufacturing, near Bassano del Grappa, following a processing passed down from generation during 4 centuries. 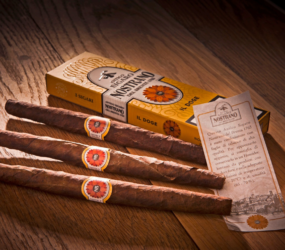 Cigar is packaged with the wrapper and the binder, previously fermented and contoured. 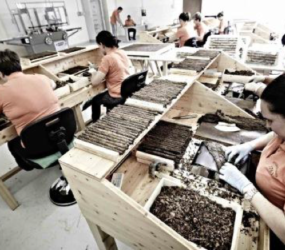 The first stage of processing is the preparation of the “pupa”, that is rolling the binder on the filler; some days after, the second stage is rolling the wrapper, the external leave that complete the “clothing” of the cigar. 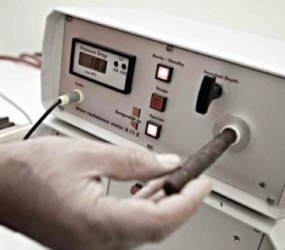 The instruments used by cigar-makers for these activities are all manual and they all need a great experience and sensibility. 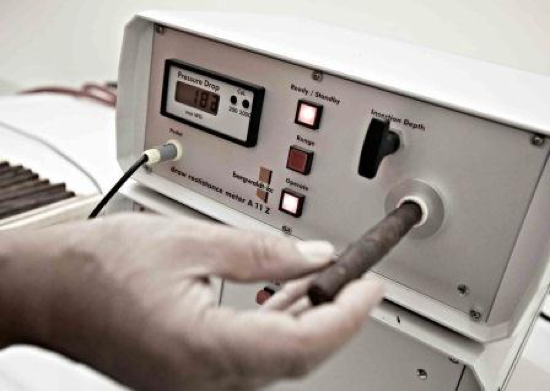 In fact the cigar-maker’s ability in rolling the right quantity of tobacco in order to avoid excessive drafts or excessively fast ones is fundamental for an excellent construction of the cigar. Unlike Caribbean cigars, italian manufacturing tradition doesn’t use presses and molds to give a perfect cylindrical form to cigars. On the contrary, the “pupa” rests without any pressure of space or form. All that reflected on the next phase, that is rolling the wrapper and mostly on the form that the cigar will have at the end. The cigar built in this way, starts a long maturation that will end, after many quality controls, with the final packing for sale.